I have a '66 Coronet Convertible and the last and final step (?) is to put on new wheels. I presently am using Mopar Police wheels, 15 X 7 with the radial slots. As well as I can tell, these wheels have about 4 1/4" backspacing (if I'm measuring correctly, straightedge across rear side of rim, tape measure to mounting surface). I'd like to install American Racing 200S wheels, but I have to make sure they'll fit correctly or they'll rub on the rear fenders. Any guidance from people who have installed these would be greatly appreciated. Thanks!! You say that the cop wheels fit, so when you order your next set of wheels order the same size and back spacing. 15"X 7" X 4.5"bs. Should do the trick ! 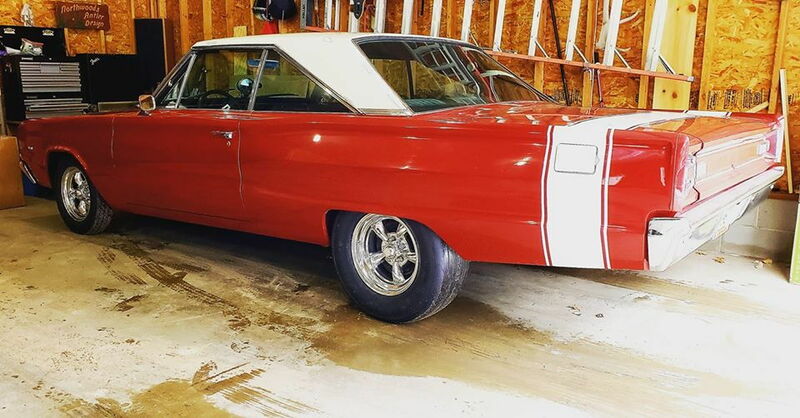 275-60-15 rear tires on 15x8 4.5 back space fit well on my 66 Coronet. Last edited by JimBud; 11-09-2018 at 06:52 PM.